The TadPole provides a way of offsetting the control rod mount away from the BullFrog. This makes the overall size of the BullFrog considerably smaller so that you can fit it into tighter locations. The TadPole also allows you to mount the BullFrog in locations that are hard to reach with a control rod. You can even mount the TadPole around a corner from the BullFrog! To use the BullFrog with the TadPole remote mount, build the BullFrog without the control rod mount. 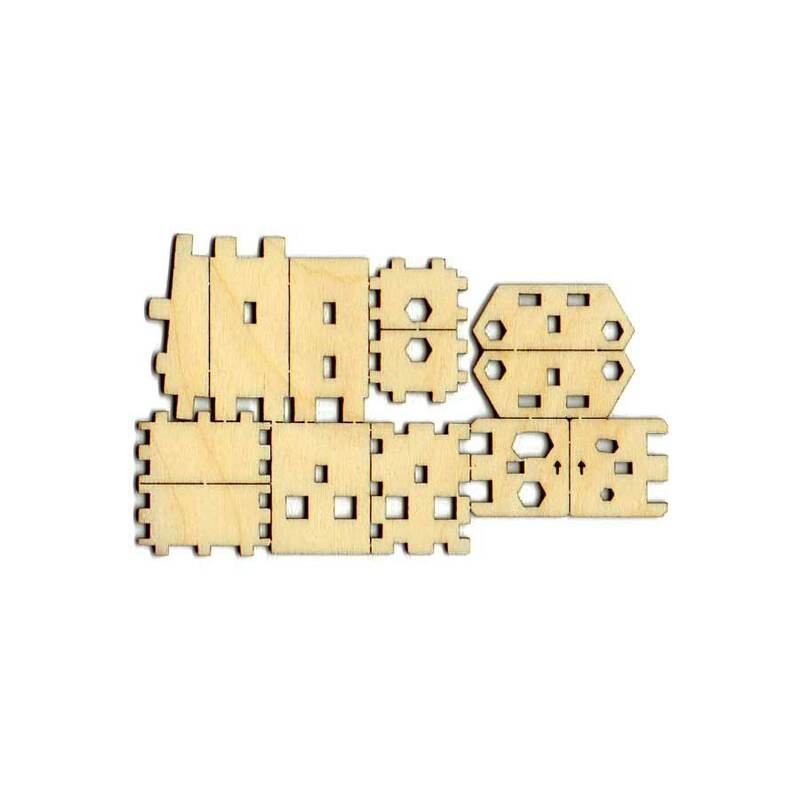 Instead you build the BullFrog using the plain base that is included in this kit. 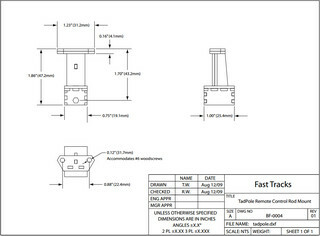 Download the detailed dimensional diagram of an assembled TadPole to be sure. 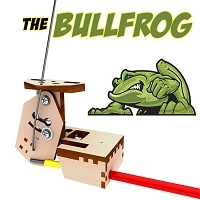 The TadPole can only be used with the un-assembled version of the BullFrog as you need to build the BullFrog without the control rod mount. Allows you to mount the Bullfrog nearly anywhere. Works fine but if the installation involves a lot of curvature for the control rod, the outer housing can slip out during operation. I fixed it by putting an anchor clamp on the housing and screwing it to the TP, which I was able to do because I had some extra clamps. Suggest a tighter fit for the housing or including a clamp.